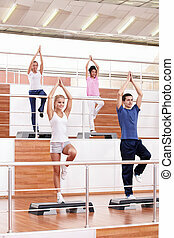 Aerobics. 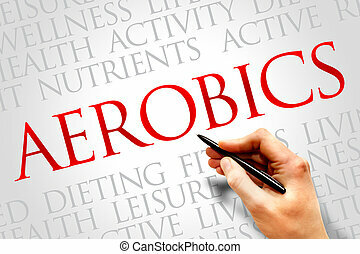 Image of a woman doing aerobics . 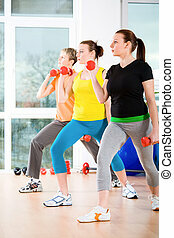 Image of a woman doing aerobics . 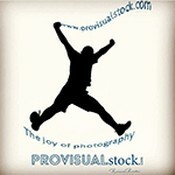 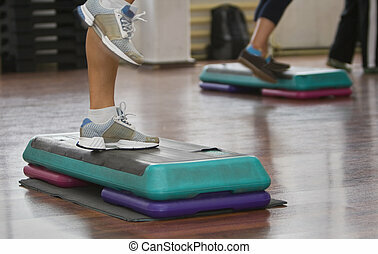 Happy woman with aerobics step. 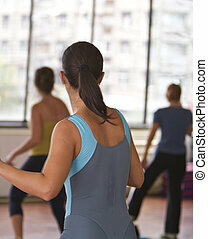 Image of a woman doing aerobics on a blue mat. 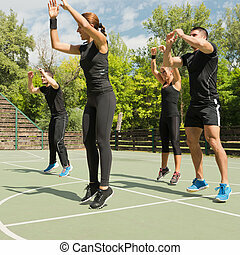 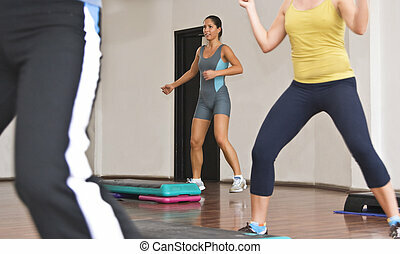 Image of a young woman doing fitness, interestingly framed by another person\\\'s legs. 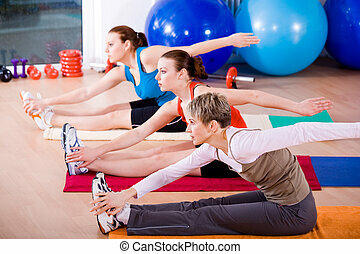 Young woman doing floor exercise in a gym. 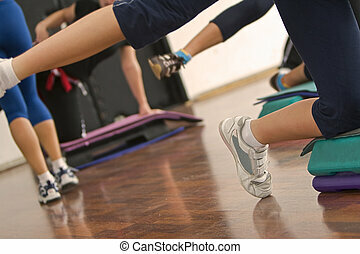 Image of legs doing step aerobics indoors. 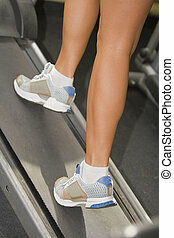 Detail of a woman\\\'s leg running on a treadmill. 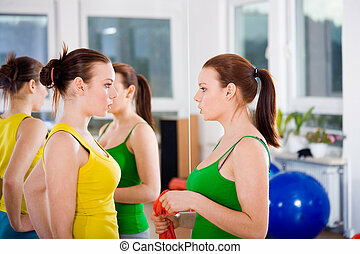 Blond woman standing with legs apart bending down with one hand touching one foot and the other raised up, against a white background. 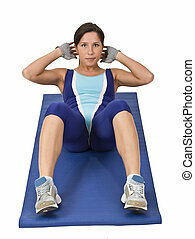 Upper view of a female doing sit-ups isolated against a white background. 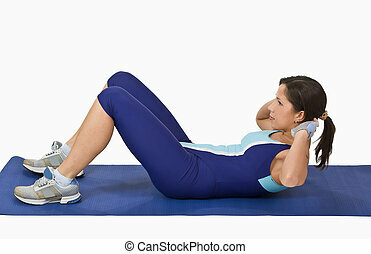 Woman doing sit-ups, isolated against a white background. 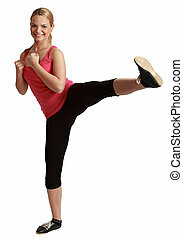 Young blonde woman kickboxing against a white background. 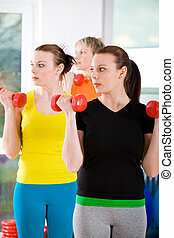 Young smiling blonde woman exercising on a stepperagainst a white background. 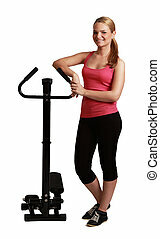 Young blonde woman standing near a stepper against a white background.